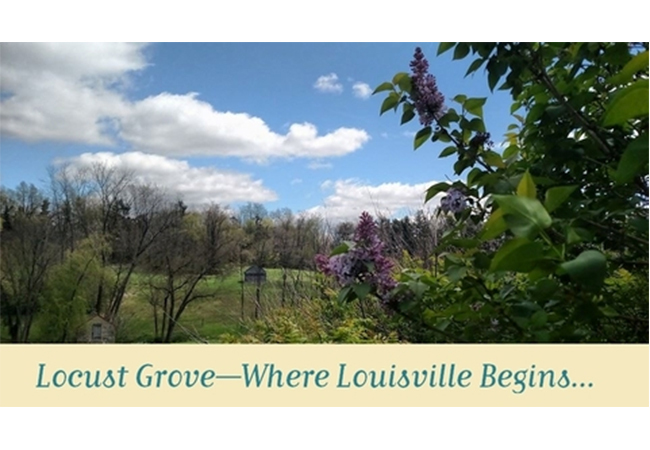 On Saturday, April 27 and Sunday, April 28, from 10:00 am – 4:30 pm, Historic Locust Grove will bring the American Revolution to life for A Revolutionary War Encampment. For the 27th year, George Rogers Clark’s own Illinois Regiment of Virginia will make camp at Locust Grove and invite visitors to join them by stepping back into the year 1778. Visitors to Encampment can tour the historic house, watch meal preparations in the hearth kitchen, and meet the troops to hear their experiences during the American Revolution. A surgeon and two blacksmiths will also be on hand to demonstrate their trades and show how tools and supplies used by soldiers were made. Young visitors to Encampment can even participate in recruitment for new, pint-sized troops. A Revolutionary War Encampment will be held at Locust Grove on Saturday, April 21 and Sunday, April 22 from 10:00 am – 4:30 pm. Admission is $6 for adults, free for children 12 and under. Snacks will be available for sale. Part of the Age of Hamilton series at Locust Grove. For more information about this event, please contact Hannah Zimmerman, Marketing and Communications Director at [email protected] or call 502.897.9845 x108.